1. Print out a fake parking ticket. 2. Or, for humans too young to drive, an unsolvable word search. Perfect for long car rides. Download it here. 3. Add googly eyes to everything. 5. Jello makes an easy undrinkable drink. 6. Rocks make inedible strawberries. 7. And soy sauce and Sprite combine to make the most vile Diet Coke of all time. 8. Make a shower toasty. This is totally bizarre but for some reason it is also hilarious. 9. Wake someone up nice and good. Duct tape an air horn inside the door and then GTFO of there. 10. Toy with someone's emotions*. *DON'T REALLY DO THIS, YOU SADISTIC WRETCH. 11. For a highly subtle prank with few to no consequences, try repackaging candy. It will at least mildly annoy a friend with a sweet tooth. 12. For a medium-ly mean prank, disguise onions as candy apples. 13. And for an impossibly cruel prank, fill doughnuts with mayo. 14. Render soap useless with clear nail polish. 15. Terrify your coworkers with a fake milk splatter. And make them wonder why you were drinking milk? Strong bones, etc. Directions here. 16. 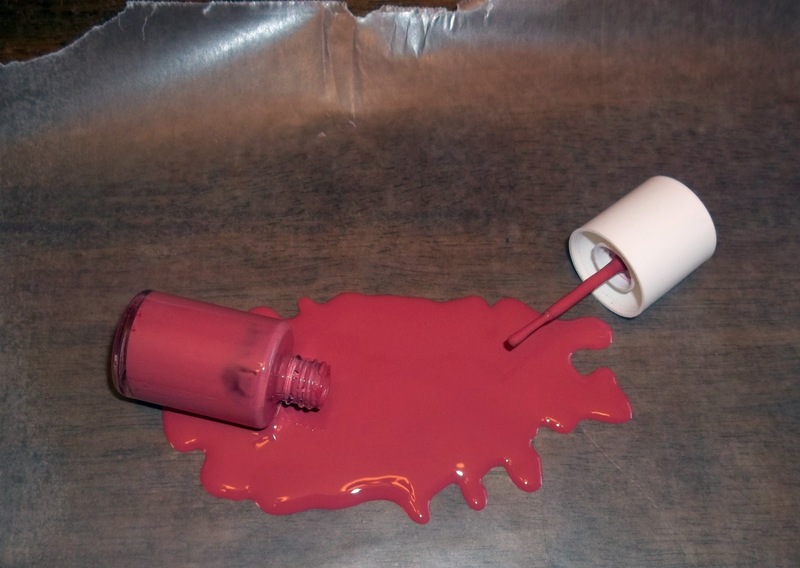 Terrify your mom/roommate/boyfriend with fake spilled nail polish. All it takes is some wax paper. 17. Who's that at the door? It's Nicolas Cage!!! This is v. mean because it is not real life, but maybe one day your incredibly disappointed prank-ee will forgive you. 18. Just remember to keep it kind. 19. And only pick on someone your own size.